Nature in all its glory provides us with bountiful fruits and vegetables every season, summers bring with them juicy globes of saffron mangoes, monsoons bring seed fruits, autumn brings guavas and papayas and winters bring pretty much everything. Unfortunately this 'everything' doesn't last long, and we are soon left twiddling our thumbs, until another year and another winter roll in. How wonderful then, if we could preserve a tiny part of our favourite season and its produce, in a little jar until mother earth makes her next trip around the sun. From this very urge to preserve was born our ancestors' love for preserving fruits and pickling vegetables. Every summer the women folk in both my maternal and paternal families, would bring out their huge martbaans i.e. pickle jars to make humongous batches of a wide variety of pickles and murambas (sweet and spicy fruit preserves), that could feed their entire joint clan of twenty plus people. My father often recounts episodes of his cousins and himself, visiting their aunts' native village, and crawling up to the attic (that housed these huge martbaans), after all the womenfolk retired for their afternoon nap, and gobble up the pickles till their hearts will full and livers could take no more. The next morning a collective 'throwing up' session, would then alert the ladies of the house of the previous days' (mis)adventures, and the attic would forthwith be securely locked. 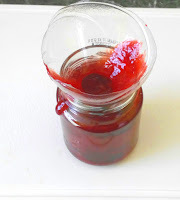 Hoping thus, to then preserve my favourite season in a little jar and acting on repeated requests for 'stlobelly' jam by my toddler, I decided to give this age old tradition a go. So stop salivating on your screen now, go get some 'stlobellies' while they're still in season and make yourself a fresh batch today! Now put them in a large (atleast 3 ltr capacity) heavy bottomed pot, along with the sugar. Boil the mix on medium till the it stats to bubble vigorously, then turn down the flame to low and allow to cook for 30 to 40 mins, stirring in between to make sure the liquid doesn't burn at the bottom. When close to the 30 min mark see if the jam coats the back of a spoon and a line drawn in the center with a finger must stays put. Once done add in the lime juice, stir and remove from the gas. Allow to cool in the pot for 10 mins. Allow to come to room temperature, before putting on the lid. 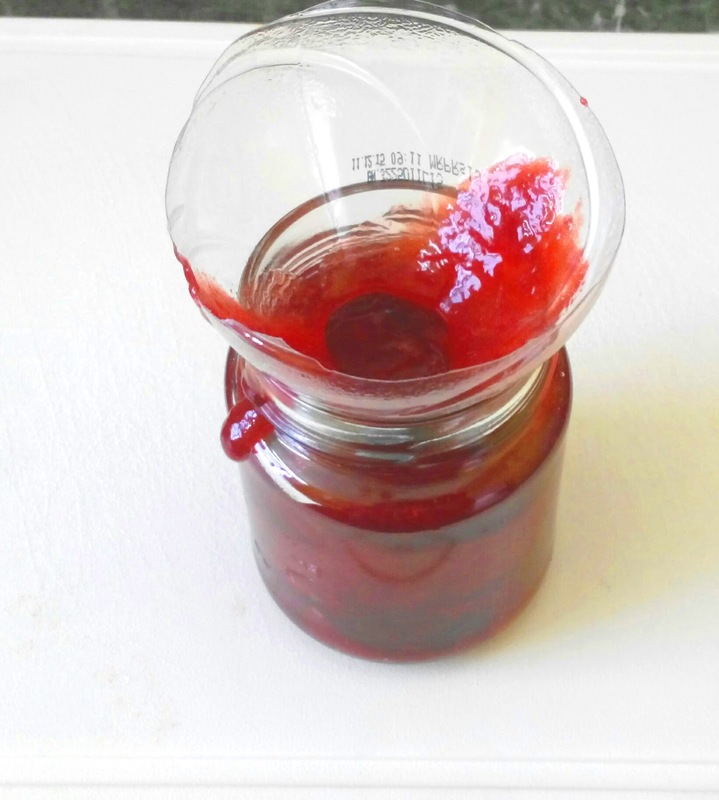 - As no pectin (a gelling agent) is added the jam will have a soft set, much like cheese spread. - The longer you boil the jam, the stiffer it will set. - Do not forget to add in the lemon juice, as it prevents crystallization of the sugar and also prevents the formation of mold. Thanks for sharing this best stuff with us! Keep sharing! Rarely people get the genuine information and ideas.I enjoyed a lot and i hope this article will be helpful my writing and also the author is using different way of writing and presenting format.